Cleaning. If there is one thing that people do not enjoy doing, it is cleaning. On the other hand, there are a select few who take pride in cleaning and find it quite therapeutic. Have you ever heard of someone who cleans when they are mad? It can really help clear up your thoughts while organizing the environment around you. If this sounds like you, then you may want to start a cleaning business today. When it comes to business opportunities, entrepreneurs and investors both search for innovative products or solutions. In many cases, they spend time and resources in an emerging market that is either premature or will never develop. Unfortunately for them, they lose plenty of time and capital. However, hopefully they do learn some core competencies or experience that serve as lessons in the future. If you were not looking for a hi-fi, crazy innovative business, starting your own cleaning business can be a good investment. Unlike other high-risk investments, you can start a small home based business and grow on your own terms. Not to mention, the need for cleaner homes, offices and buildings is not going out of demand anytime soon. Now, you could get started today by cleaning a friend or family member’s house. This would be very informal and it might get you a referral or some repeat business. At which point, you may decide to set up a DBA sole proprietorship or LLC Corporation. Then, you can start operating your business with a traditional or virtual bank account and perhaps some business insurance. Since you are starting everything from scratch, it may take some extra legwork to get up and running. Furthermore, it may take a longer time to grow the company because you probably do not have any brand recognition (despite picking a good company name). However, if you would like to get started on your new cleaning business and grow much faster than on your own, you may want to consider buying a cleaning franchise business. By purchasing a franchise, you will have access to a platform that is already working for other people. If you know what is a franchise, that means the cleaning business will be set up quicker and will have more resources to attract customers because of existing brand strength. Also, if you are thinking about how to start a commercial cleaning company, this would be a more suitable route as companies usually pay for the higher pricing and more legitimate companies to avoid liability issues. Of course, there is an additional cost to owning a franchise. There’s the upfront cost, royalties and more. Depending on the cleaning corporation like The Cleaning Authority or Molly Maid, the prices will vary. But, if you choose a well-known, established cleaning company, the odds are you will be successful since they already have most of the resources needed, such as a timesheet calculator for employees. Once you have the idea of starting your own cleaning business, you want to identify the services you will offer. This is the same thing you would do if you were to start a trucking business. Some entrepreneurs choose to start a commercial cleaning business. 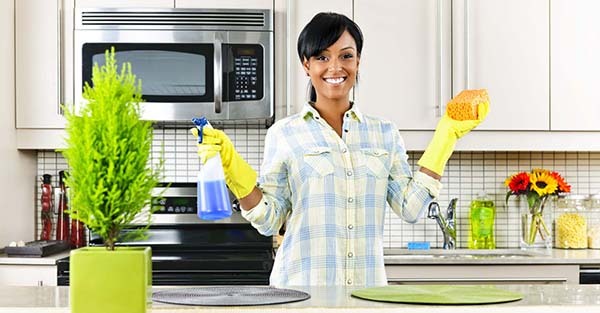 Others opt for home cleaning services. Pick one of the two. Then, create a list of services you will offer and prices for those services. Research rates around you to get an idea of the going cleaning rates. This is the best thing you can do to set your business up for success and start finding clients right out of the gate. In today’s market, start up loans are not exactly easy to acquire. As a response, there have been several private companies that have entered the industry by providing alternative lending options. Since your cleaning business would require funding for human resources, you might want to try one of the various options to start your venture. If you are a woman or minority owned business, you may be eligible for small business grants or loans. While SBA loans are know to by highly selective, there are several programs that may cater to you. Even if you don’t find any, regular secured and unsecured bank loans are another option to fund your cleaning business. Once you have the proper funding, you can work on either purchasing a cleaning business or finding a location to start the cleaning business. This is much easier than it is to learn how to start a clothing line, so it may be worth checking out. Remember, every industry will have its own new business challenges. It is up to you to come up with innovative solutions and creative ways to satisfy customers in order to earn the profits that you desire. Whether you start your own cleaning business from home or use a cleaning franchise license, success is yours for the taking either way!